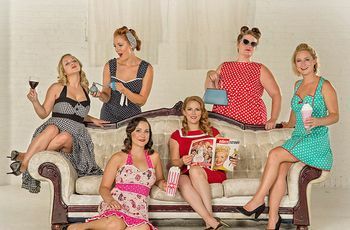 10 Edmonton Bachelorette Party Ideas for Every Type of Bride | Wedding Ideas ARE YOU A VENDOR? Have you been tasked with bachelorette party planning in Alberta’s capital? We’re here to help you plan an amazing stagette for your BFF! We’ve rounded up the best Edmonton bachelorette party ideas for every type of bride - from the gardener to the gamer - to help make your job a little bit easier. 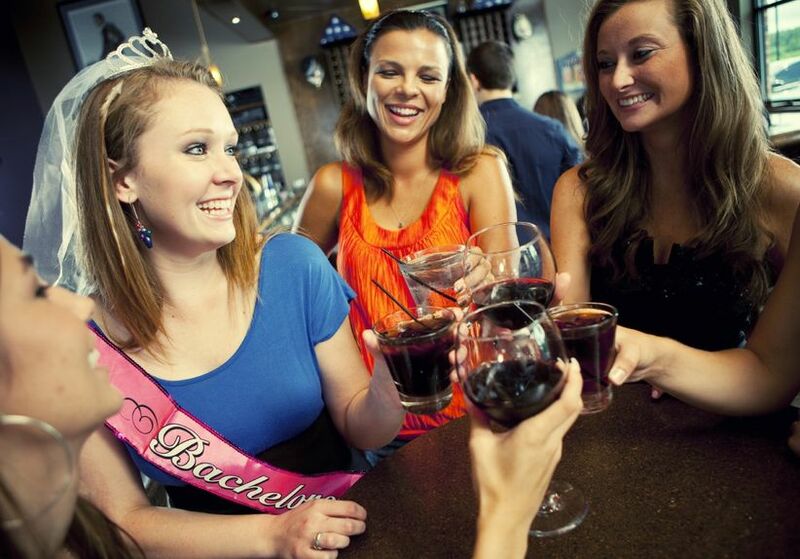 Here are Edmonton bachelorette party ideas for every type of bride. Though you could order takeout and spend the night in sweats, we suggest making your foodie friend’s bachelorette party experience a little more memorable with a trip to Cafe Linnea. The restaurant specializes in farm-to-table French eats and has a stunning private room where you can enjoy your meal without accidentally eavesdropping on your neighbour’s convos. Yes, it’s a bit of a splurge, but it’s totally worth it. If you’d rather make your own food, book a class at Get Cooking. 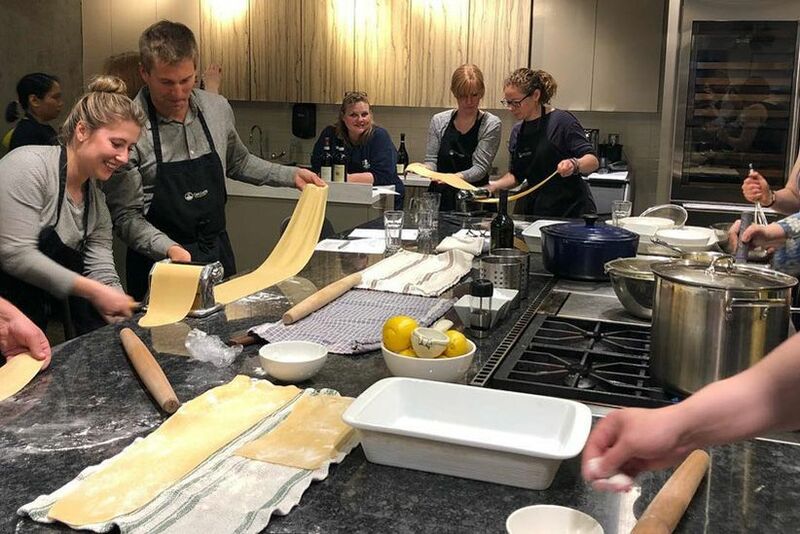 Instead of being waited on, you and your group will get your hands dirty and craft a drool-worthy four course meal in the Get Cooking gourmet kitchen. Not only will you leave with full stomachs, but you’ll be able to channel your inner Ina Garten a little easier when making your own dishes at home (a skill that never goes out of style). Bonus: each item will be paired with a wine, so you can get a little boozy, too. 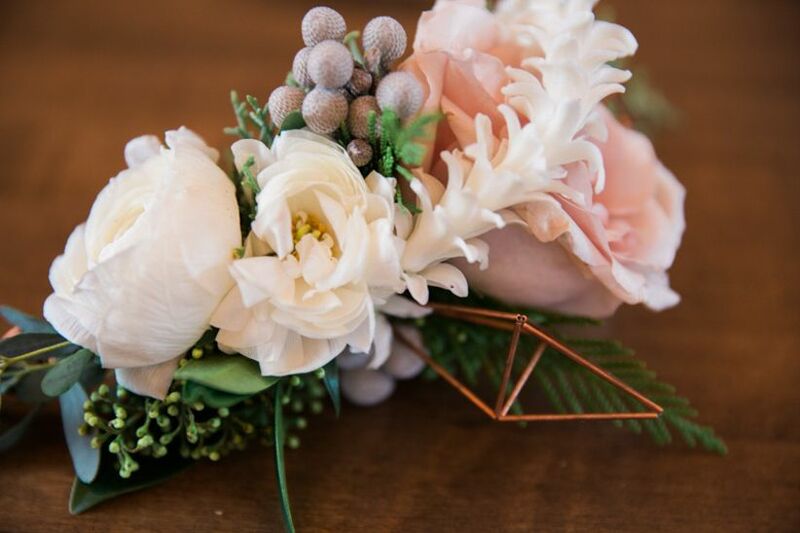 So, the bride-to-be’s favourite part of wedding planning was choosing her wedding flowers? Give her the gift of more beautiful blooms with a private workshop at Fleurs Flowers. 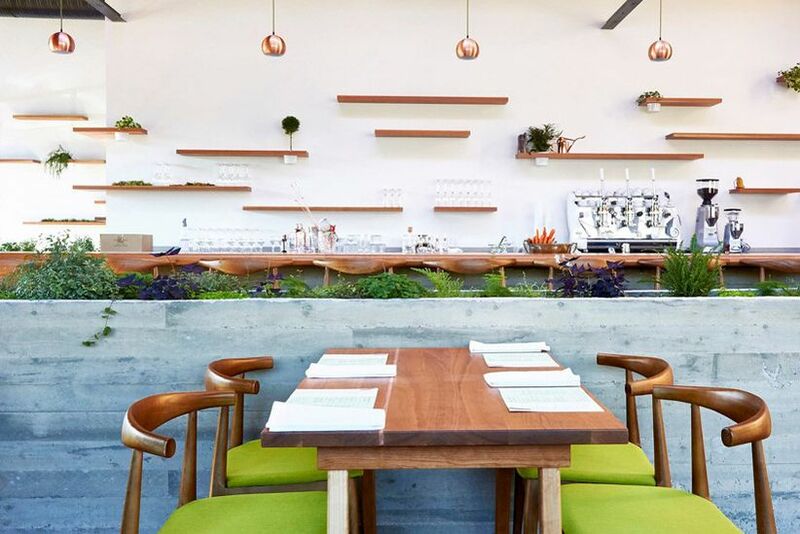 Simply let their team know what you’d like to make and they’ll supply the goods along with custom drinks and tapas. Is the guest of honour obsessed with post-apocalyptic shows like The Walking Dead and The 100? Do they love a good puzzle? Well, it sounds like an escape room would fit the bill perfectly. 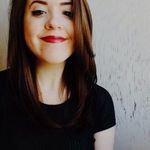 GTFO is an Edmonton bachelorette party idea that will give your squad the time of their lives with a live action adventure game. It has five unique rooms - including an asylum and a creepy cabin in the woods - so you can pick your poison. 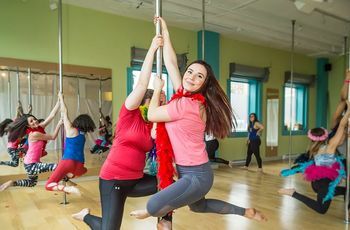 If you can’t decide between an activity-based bachelorette party and a wild stagette night on the town, head to The Rec Room to get the best of both worlds. 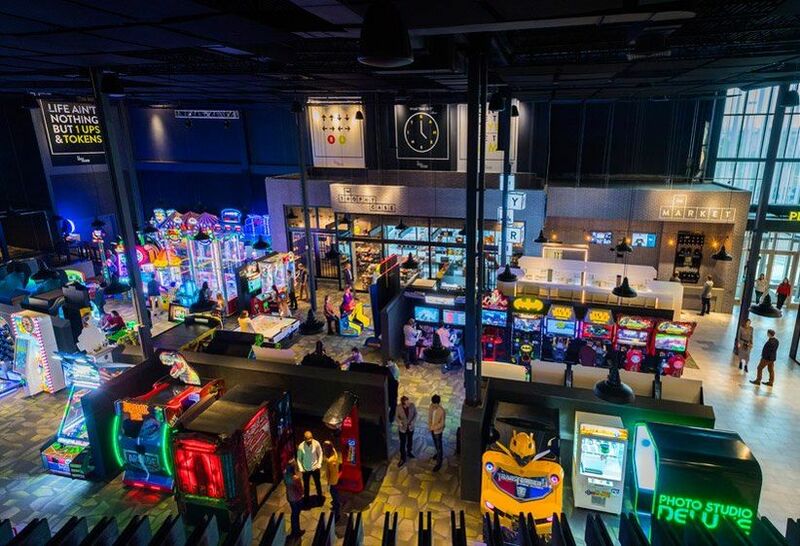 The arcade bar has a live music stage, a full restaurant and bar, a bowling alley and over 120 arcade games for you to play, so you don’t need to hop from location to location to enjoy it all. 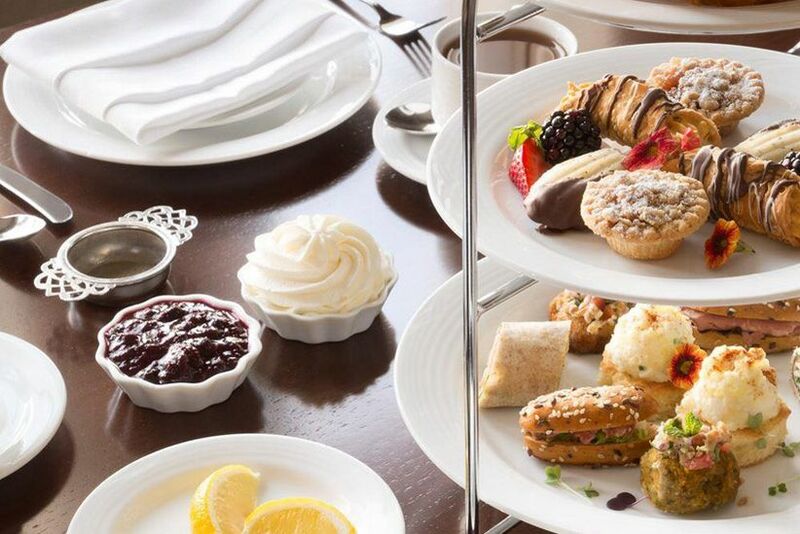 For bride-to-bes who want something a touch more sophisticated than an evening of drinking and debauchery, we suggest booking high tea at the Fairmont Hotel Macdonald. This style of event will have your girl feeling like Meghan Markle in no time, and who doesn’t dream of that? P.S. we totally support asking all members of your squad to don royal wedding-inspired ensembles and fascinators. If your BFF loves nothing more than busting a move on the dance floor, a class at Aradia Fitness will be right up her alley. The Edmonton studio offers private pole and lap dancing classes so all of you can add some saucy new moves to your regular routines. You can have up to 10 ladies in your party, so it’s best suited for smaller events. 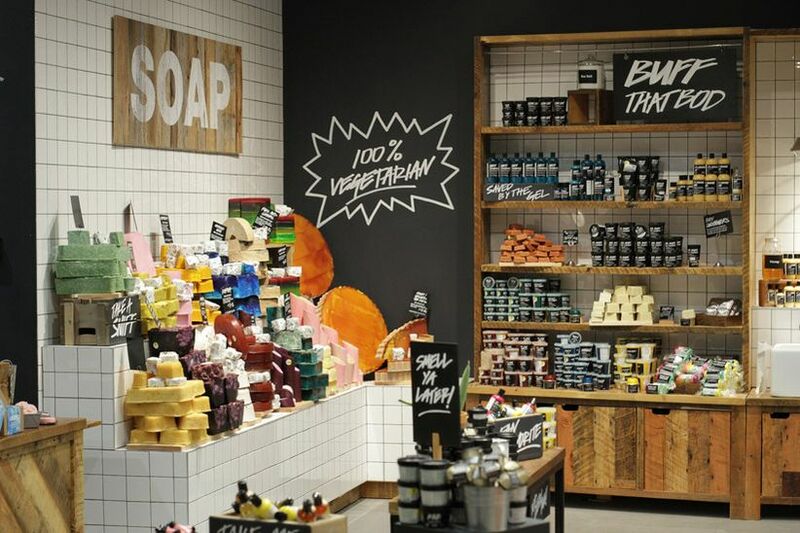 If the bride-to-be’s vanity is overflowing with bath and body products, a lesson at LUSH might be the perfect Edmonton bachelorette party idea for her. The store will put together a unique event complete with a 2-hour private shopping experience, personalized consultations for all guests, a lesson on ingredients and products and a bath bomb tutorial - basically everything a beauty queen could wish for. Laughter is sometimes the best medicine for stress. 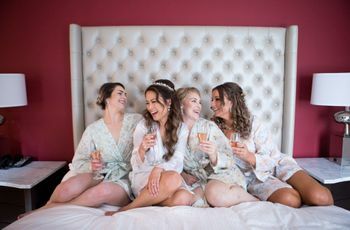 If the bride-to-be in your lady gang has spent the last few months juggling a job, wedding planning and all her other commitments, she could probably use some lols. Help bring on the laughs by taking her to a comedy show and cocktails at Yuk Yuks. The club hosts shows most Thursdays, Fridays and Saturdays, with the latest events ending at 10 p.m, so you should be able to fit some other activities into your night. Another solid option for the bride-to-be that needs a break is a spa day at Rain. This Edmonton bachelorette party destination offers facials, massages, body treatments and more, so your group is in for a day of serious pampering here. 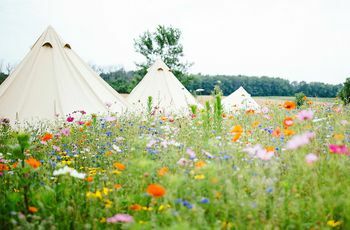 It’s also technology free, so you’ll all get a bit of a digital detox with your R&R, too (which definitely isn’t a bad thing).